Thick gel fully coats the bowl for a thorough clean. Eliminates stains, bacteria and odors leaving your facility's toilet bowls sanitary and fresh. 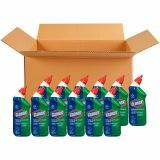 Clorox Toilet Bowl Cleaner with Bleach, Fresh, 24oz Bottle - Sometimes it takes a one-two combo to get a toilet bowl sparkling clean. Clorox Toilet Bowl Cleaner - with Bleach features the disinfecting power of Clorox Bleach to kill 99.9% of bacteria. 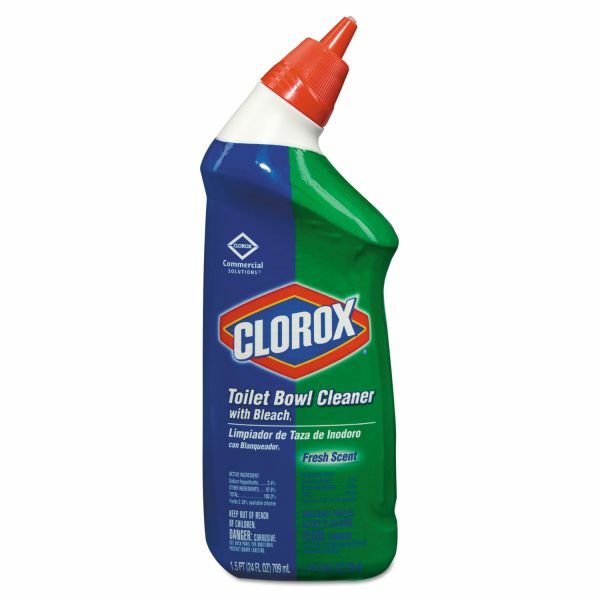 Ready-to-use toilet bowl cleaner requires no mixing and no exposure to concentrated chemicals. This thick, nonacid formula is powered with Clorox bleach to remove stains and deodorize as it cleans. Toilet Bowl Cleaner scrubs away stains like rust, lime and hard water deposits. Its unique wide dispensing nozzle delivers that cleaning power under the bowl rim. Yep, a one-two punch to destroy the germs caused by your #1 and #2 activity. 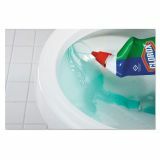 To Clean, Sanitize and Disinfect: Flush toilet before cleaning. Apply 6 oz. under and around rim to coat the inside of bowl. Scrub entire bowl and allow to sit for 5 minutes for sanitizing, or 10 minutes for disinfecting. Do not allow pets or children to access the toilet during this time. Flush toilet.